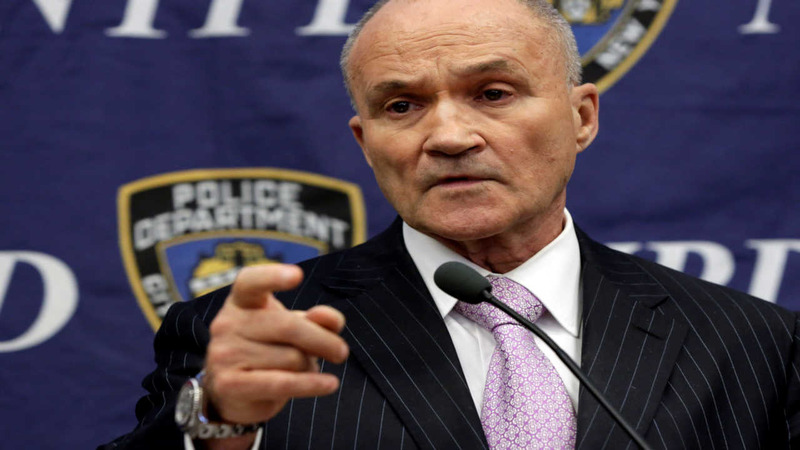 NEW YORK -- Some of former Police Commissioner Raymond Kelly's emails were deleted despite a court order that they be preserved, city lawyers said Friday, while the former top cop said he'd known nothing about it. City lawyers acknowledged that many of Kelly's emails were deleted from his desktop computer when he left his position at the end of 2013. It was not immediately clear how many were erased or what information they contained. The emails were ordered preserved as part of a class-action lawsuit alleging that the police department used a quota system for summonses. But city lawyers filed court papers that said some New York Police Department technicians inadvertently scrapped some of Kelly's emails. Kelly, who served under two mayors for a total of 16 years as police commissioner, said he had nothing to do with the deletion of the emails. "I can unequivocally state that I have never deleted nor ordered anyone to delete any emails relevant to this litigation," he said in a statement, adding that he had no role in the NYPD's retention or deletion of his email and hadn't known any messages were scrapped. "Moreover, as anyone who worked with me in the NYPD can attest, and have already attested in this matter, I did not manage the department by email," Kelly said. Kelly has previously said under oath that he did not use email or text regularly to discuss summonses or enforcement activity, preferring face-to-face meetings. The city learned only recently of the deletion, according to court papers filed Wednesday. The city filed additional papers with the court the next day in an effort to clarify that the emails that were deleted "were greater than three years old or otherwise selected for archiving" and may have been stored locally on a computer rather than on a network. When asked for comment, a Law Department spokesman referred reporters to the court papers, particularly noting that people who received Kelly's emails would still have copies unless they, too, had deleted the messages. He also reiterated the papers' argument that because the deletion was inadvertent, it should not be subject to sanctions. Mayor Bill de Blasio's chief spokeswoman, Karen Hinton, said the administration "doesn't tolerate intentional deletion of emails that must be preserved" but has no reason to believe the messages in question were deliberately trashed. The emails' deletion was first reported by the Daily News of New York. They had been ordered preserved as part of a "litigation hold" that went into effect when the lawsuit alleging quotas was filed in May 2010. Kelly has denied the practice. The revelation about the emails comes as Kelly, who served four years under Mayor David Dinkins and 12 under Michael Bloomberg, is back in the headlines for claiming that his successor, William Bratton, had manipulated shooting statistics to make the city appear safer. Bratton has angrily denied the accusation.